Colored photo credited to the owner from the Yco-Tanduay facebook group. 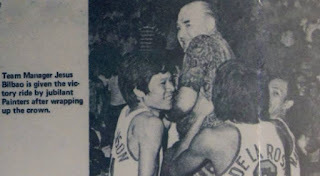 The exodus of basketball players moving up to the pro ranks, YCO was the first MICAA champion after the PBA was born in 1975. The Painters regain the crown they last won a decade ago. This was the YCO left-over team after it's mains stars became mainly the pioneer team of Tanduay during the PBA's first year in the PBA. 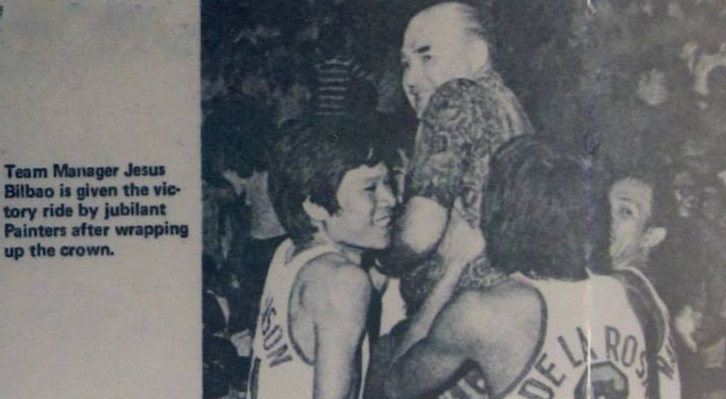 Freddie Webb who was injured in the last MICAA before the PBA resurrected his career here along with Mike Bilbao. 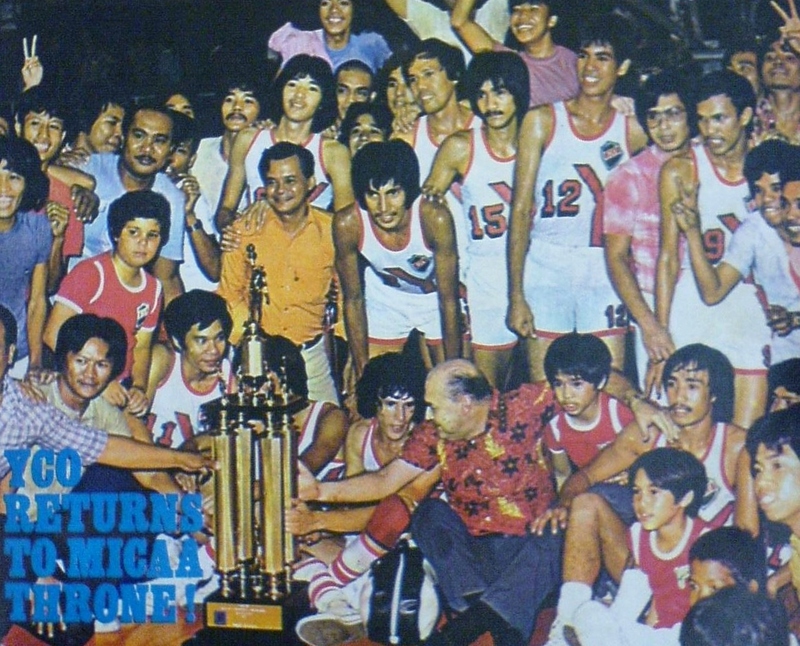 Later on they transferred to the the PBA in the 2nd conference of the 1976 season. In the picture wearing # 12 is Ely Capacio and could # 15 be Israel Catacutan? I also see Bert dela Rosa sitting at the lower right.